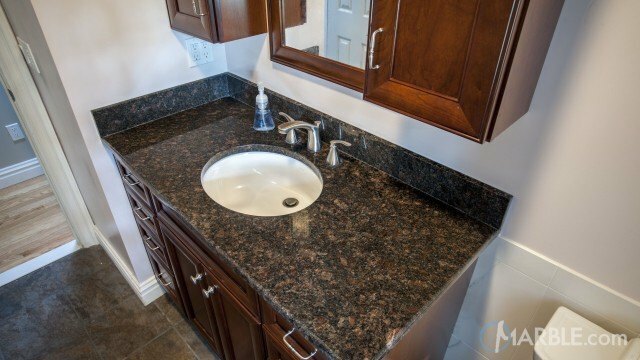 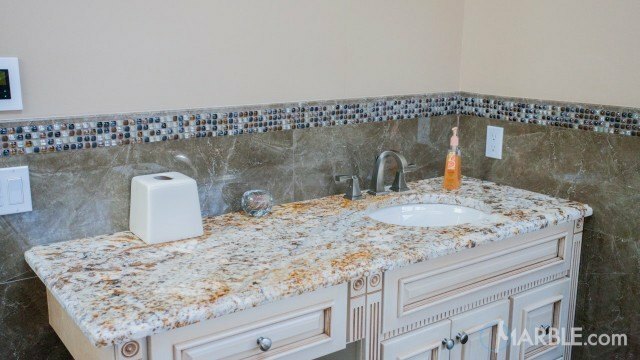 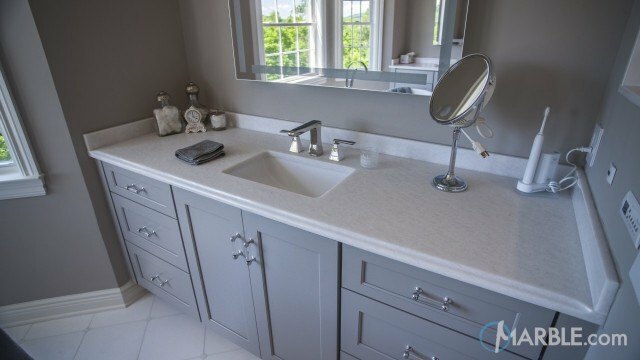 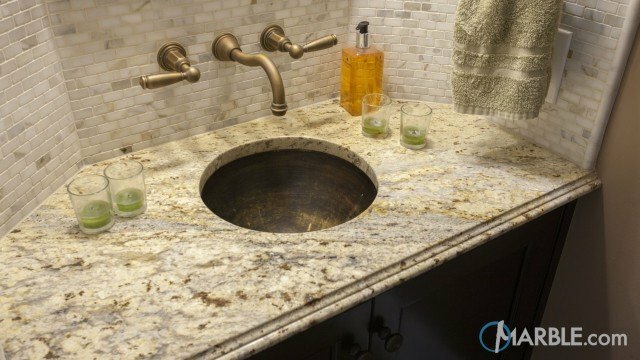 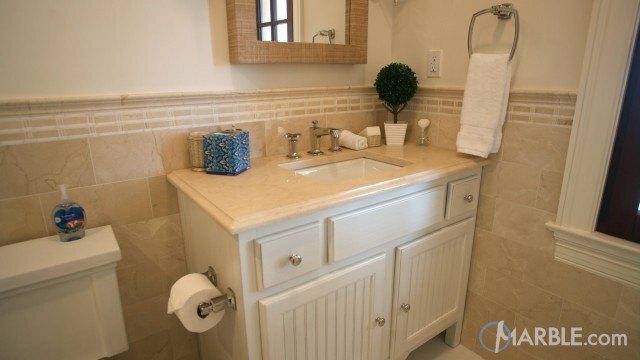 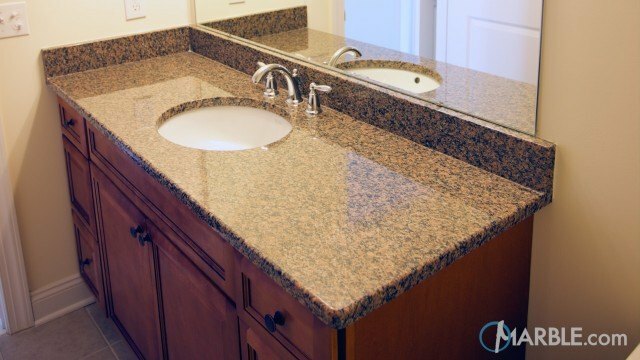 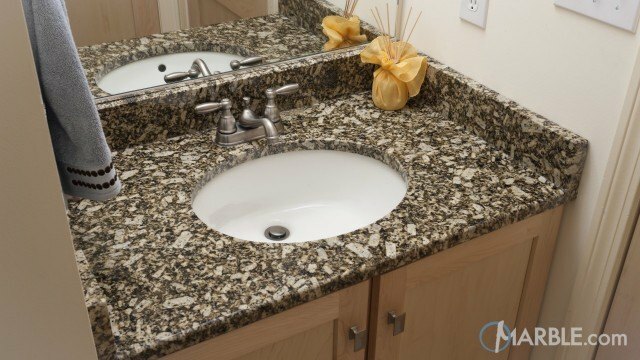 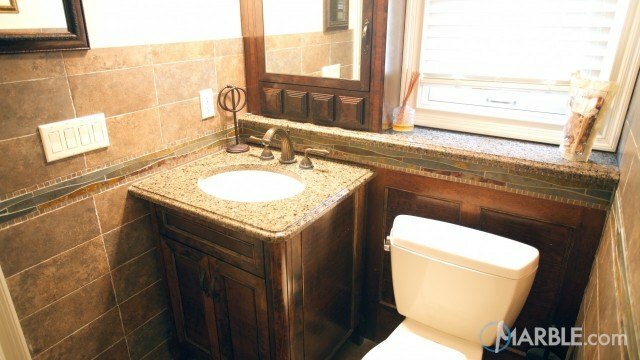 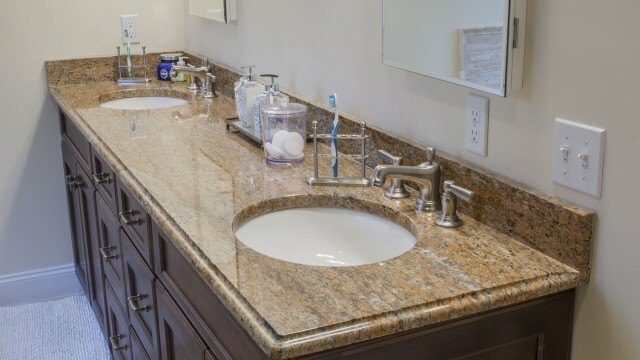 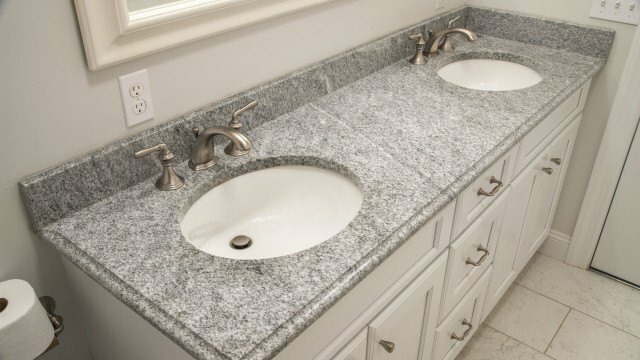 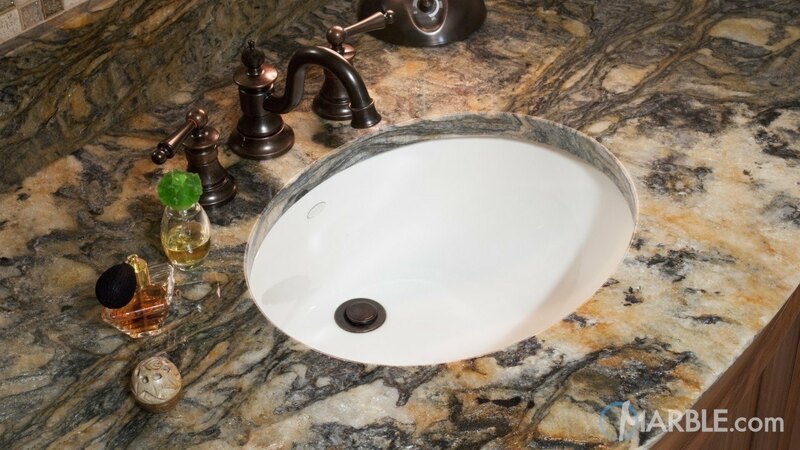 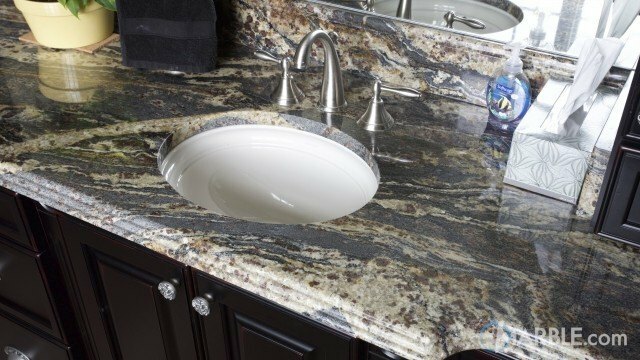 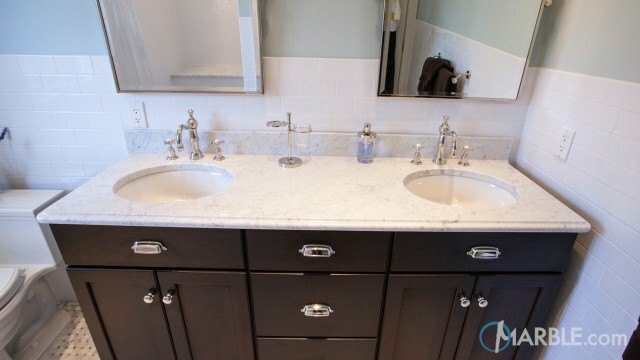 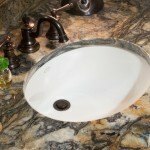 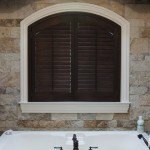 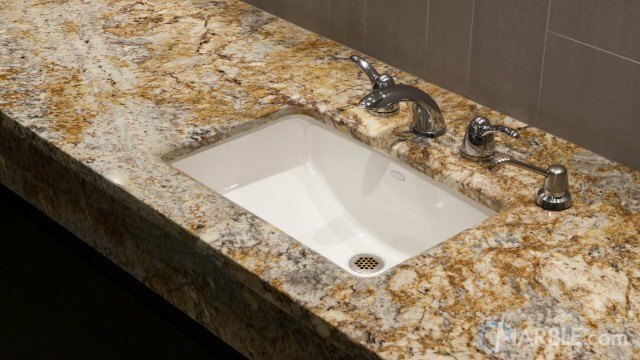 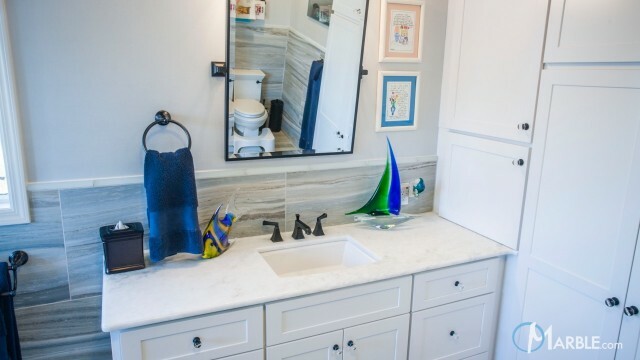 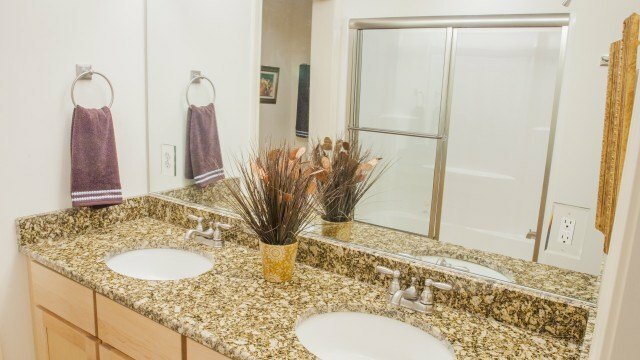 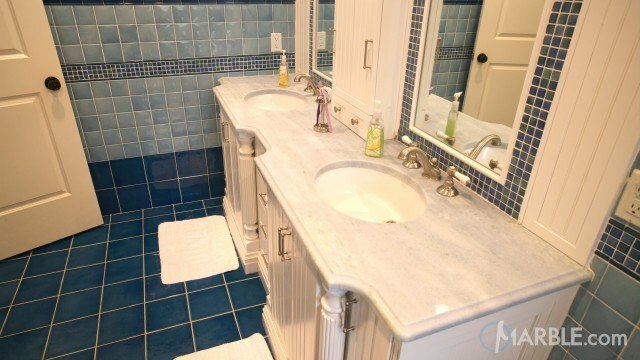 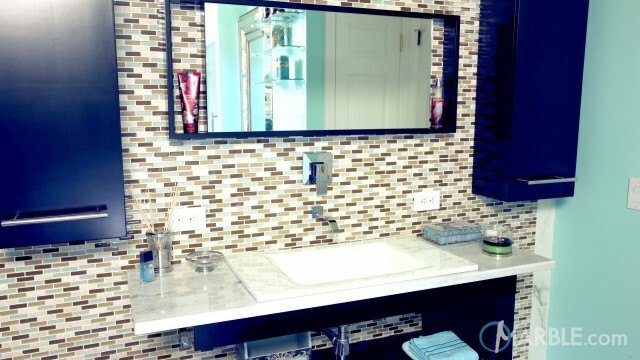 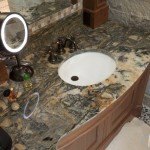 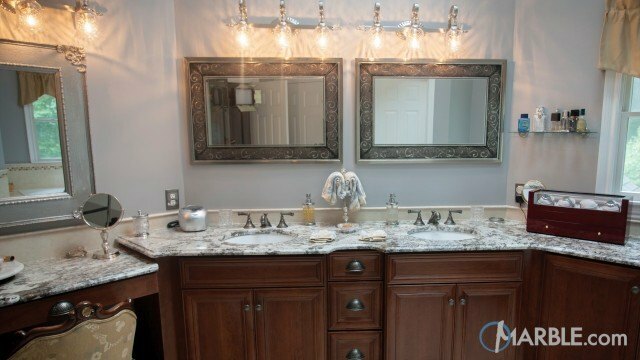 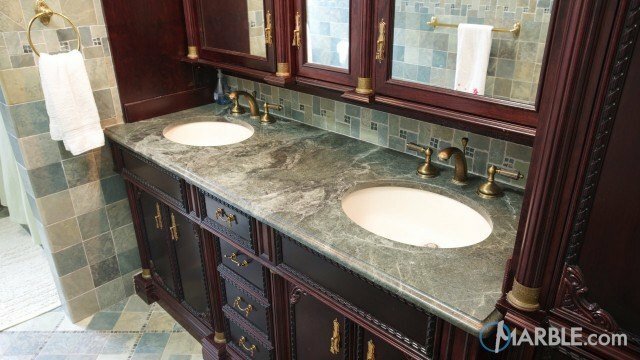 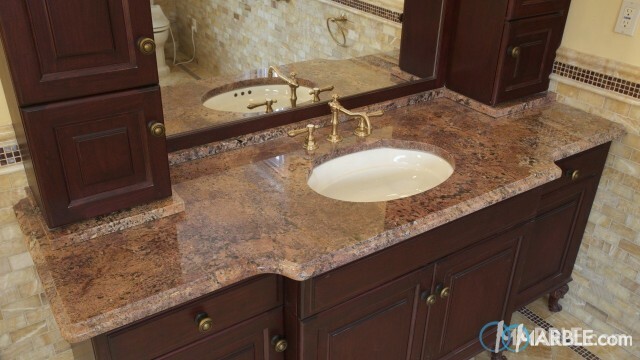 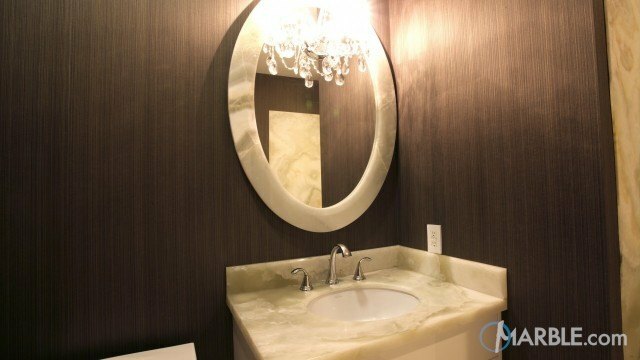 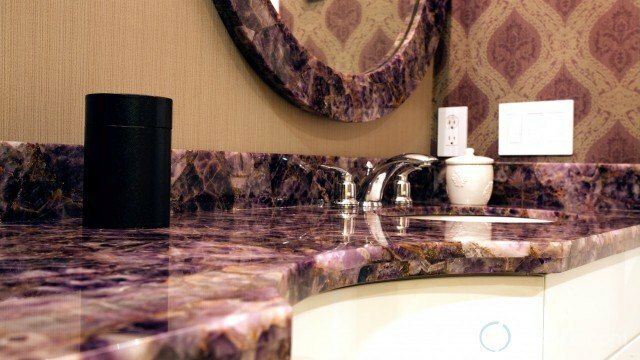 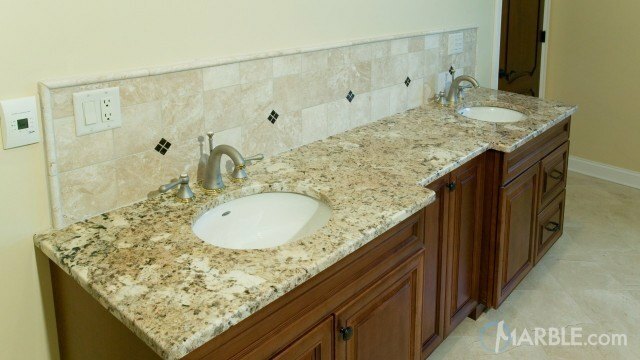 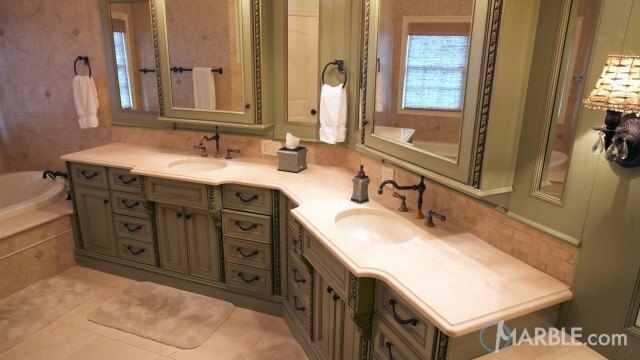 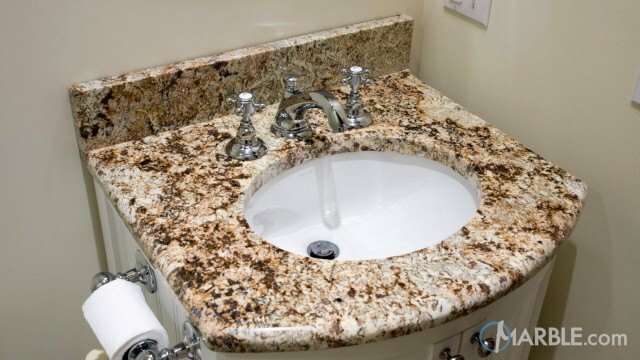 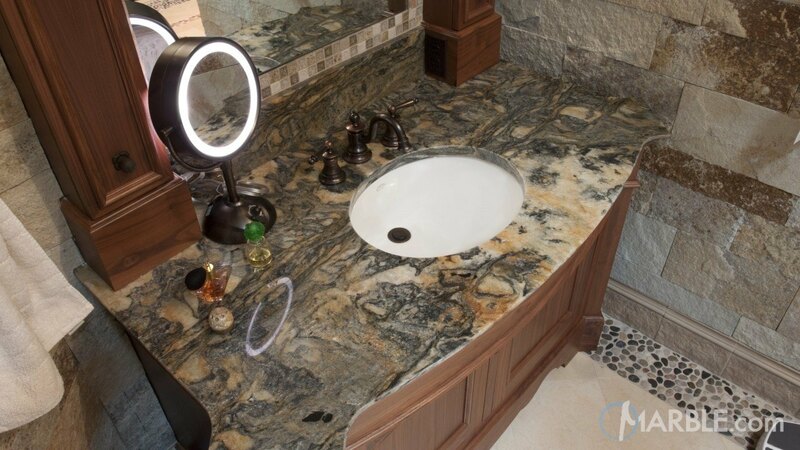 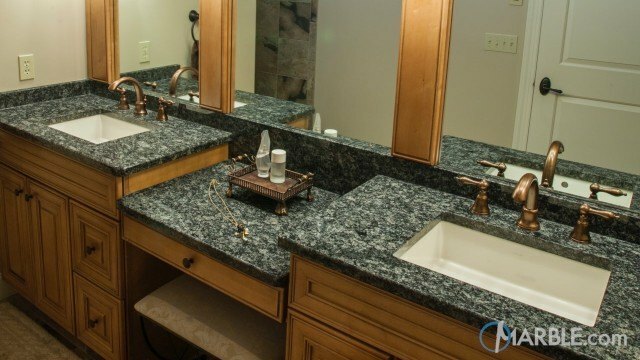 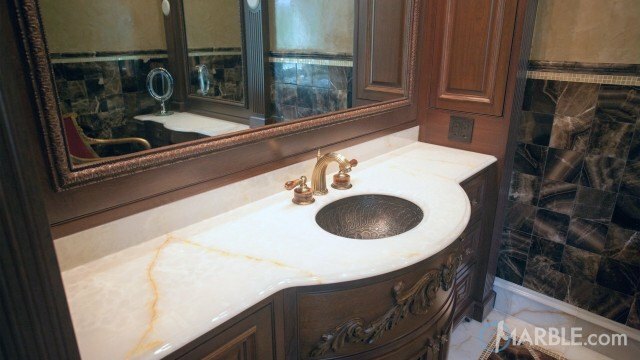 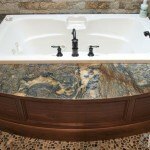 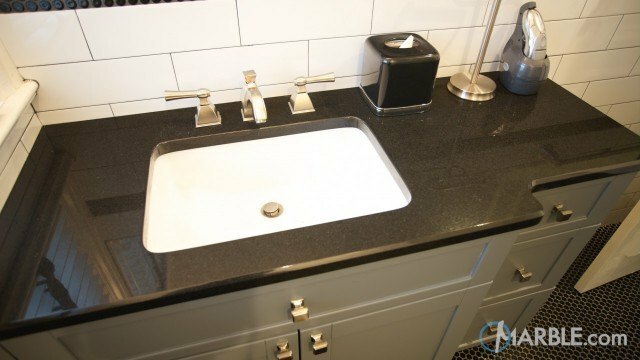 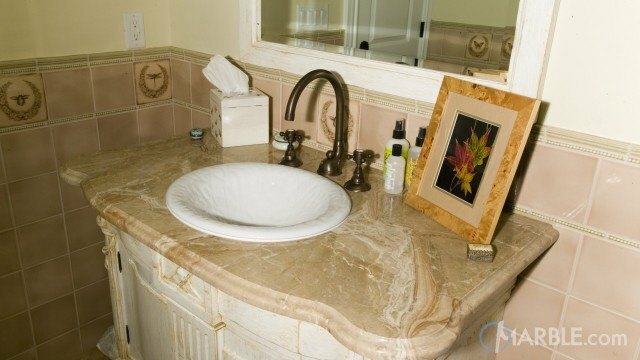 The Blue Fire Granite in this bathroom is a bold choice sure to make a statement. 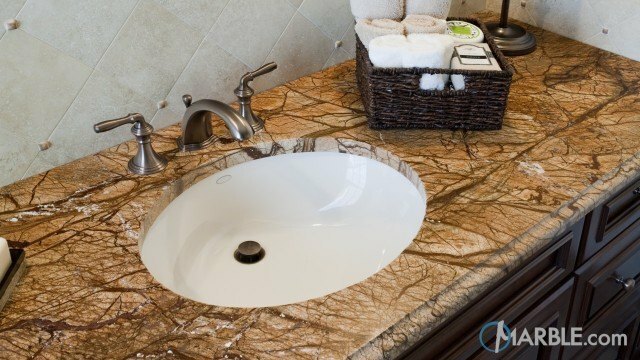 The beautiful patterns and swirls of blue, brown, white and gold create a flowy nature sure to enliven you as you start your day. 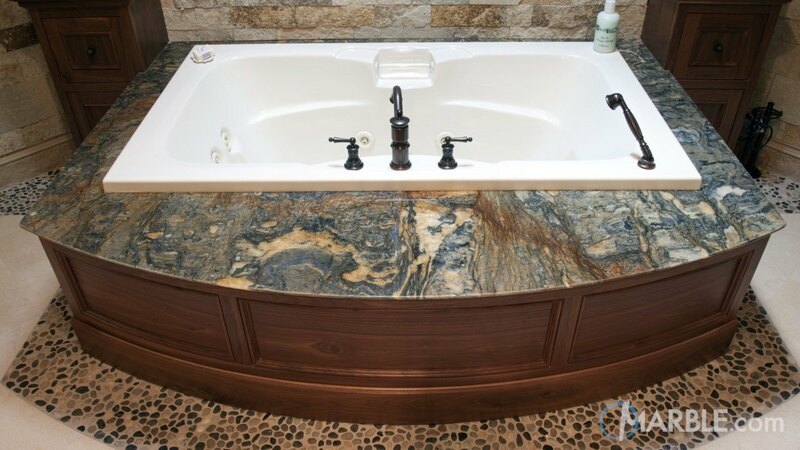 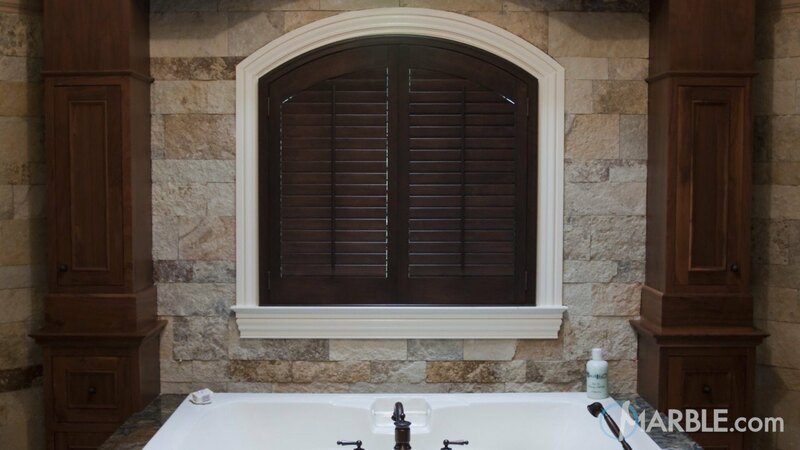 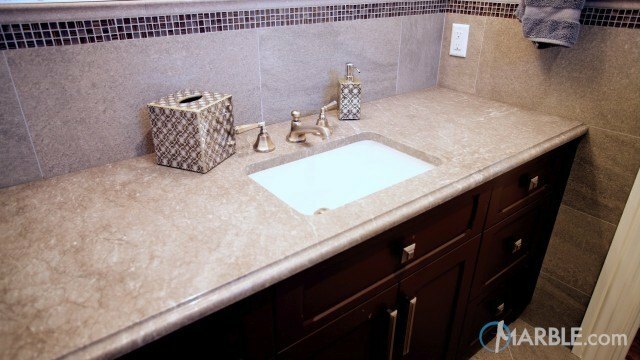 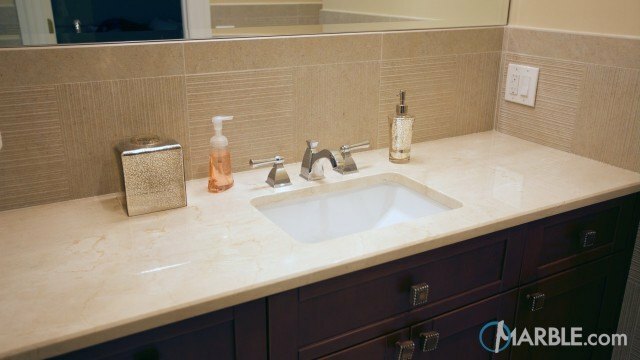 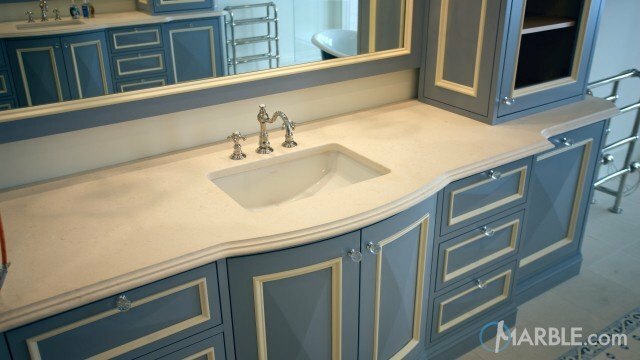 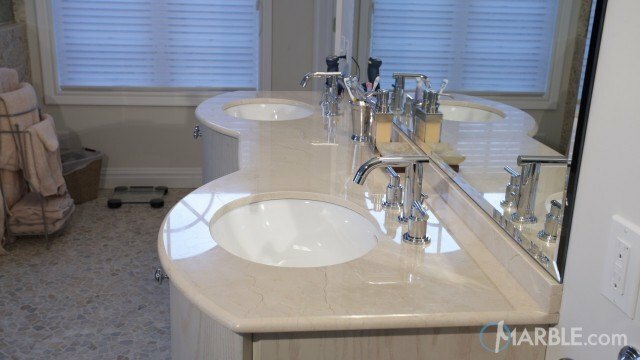 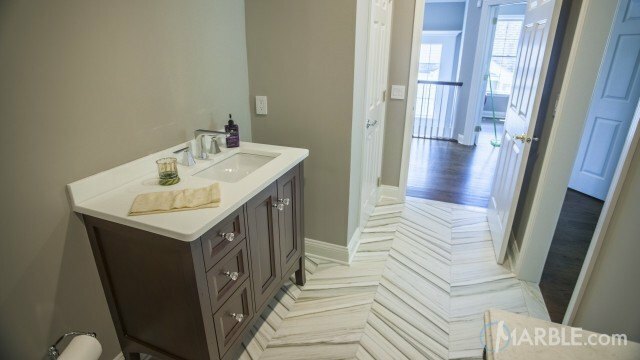 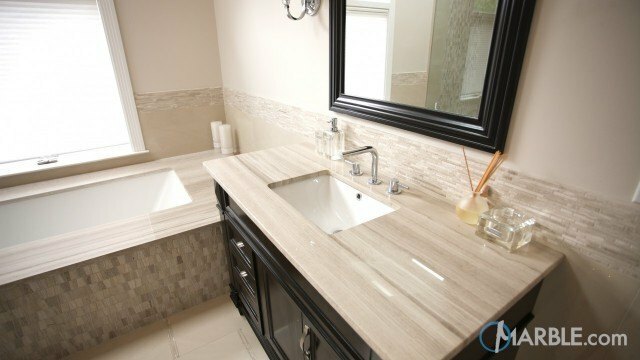 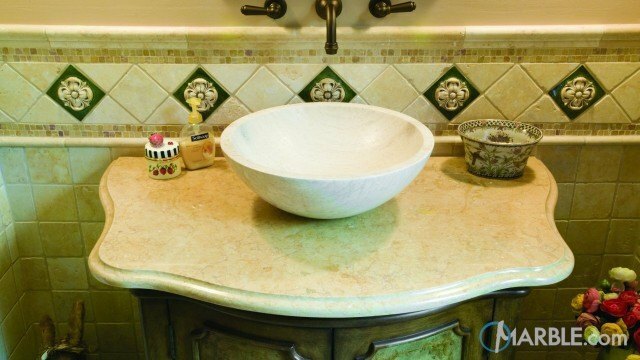 River rock and a light tile floor add a sense of serenity, while a bright white sink and hot tub add a contrasting and very clean look.